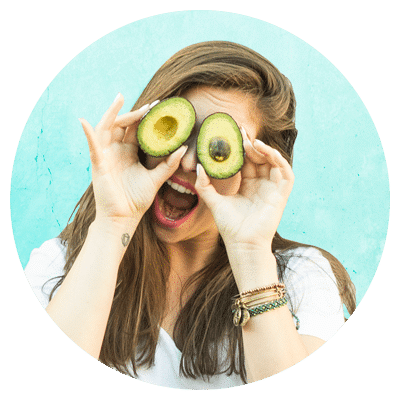 One common question most non-meat eaters get is “Where do you get your protein?” or “I only know how to cook with meat” This is craziness, my friends. Cooking and baking without meat and dairy is just as simple as cooking with these ingredients. 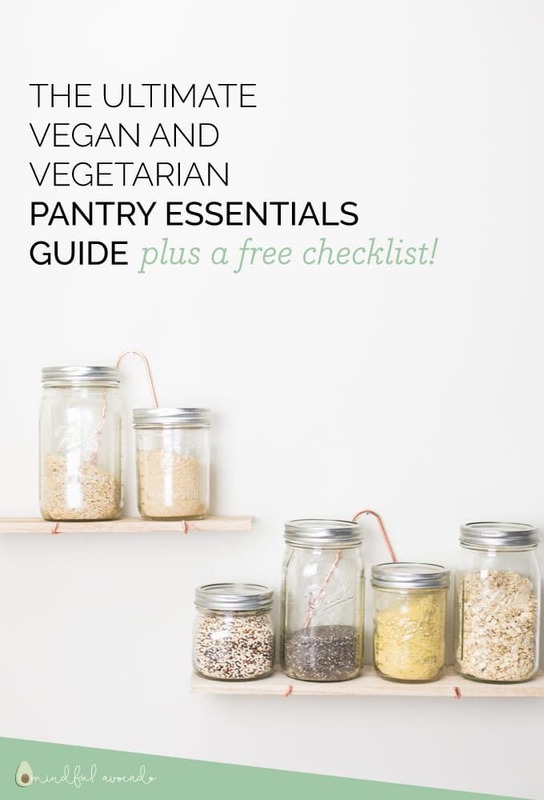 Whether you’re new to veganism or are just looking for ways to get more plant-based meals, this vegan pantry essentials list will not only provide you with some recipe ideas but debunk these myths! 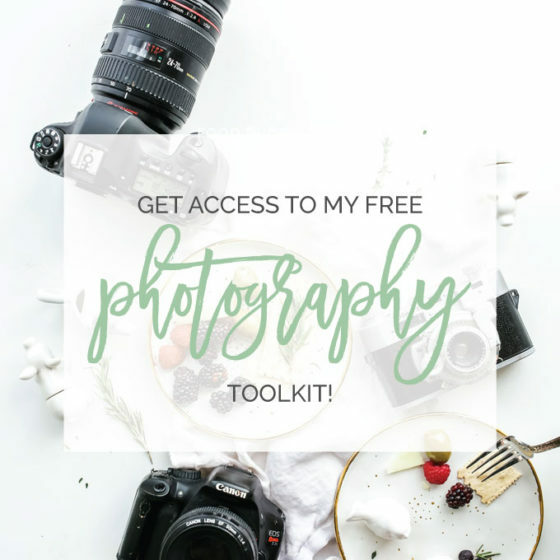 Want to skip ahead and get a free checklist? Scroll to the bottom! This is the health god of all vinegars out there! It has been proven to lower blood sugar levels and support with weight loss. Good for homemade dressings or can make vegan buttermilk with it! Rice vinegar is a common ingredient I use to make delicious Asian sauces and dressings. This is by far one of my most used kitchen staples! Not only is it great for your health, but it has SO many uses! It’s great for sauteeing vegetables or making granola. It can also be used as a substitute for butter in vegan baking. Tip: Coconut oil is excellent for your skin and hair too! Just use sparingly because it can make your hair look greasy, but makes a wonderful hair mask! I also use coconut oil to remove my makeup too. It works like a charm and is 100% natural! A kitchen necessity for everyone’s kitchen. It’s a heart-healthy oil that’s great for dressing and roasting vegetables! This oil is very neutral in taste and is great for sauteeing because it has a high smoke point. Great to keep on hand for a high protein snack. 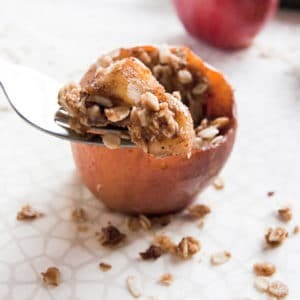 I like pairing it with apple slices when I’m craving something sweet, or making my own healthier snacks and desserts. Can also be used to make delicious peanut sauces! This is a great sugar-free condiment that is perfect for dressings and marinades. Hot sauce is one of my favorite condiments because it brings so much flavor to dishes. This Siriacha chili is one of my favs! Goes well with stir fries or curries and is a healthy whole grain. Brown rice is great for heart health, energy levels, lowering cholesterol, and so much more! I’m a huge fan of overnight oats for a quick and healthy breakfast. Oats are also a naturally GF grain and are full of fiber. Adding oats to your smoothie too can add some extra protein and keep you feeling fuller longer. Tip: blend oats for a GF flour option. This works great in veggie burgers! 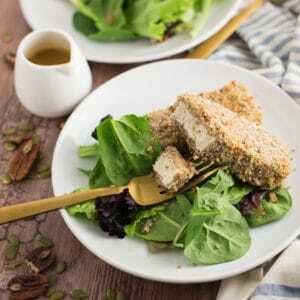 Quinoa is a GF grain that is a great addition to a healthy dinner. I like adding quinoa to my salads for an added protein boost! I love keeping pasta on hand for a quick and healthy meal. Pair with veggies and tomato sauce for a delicious dinner that can be made in no time. Almonds are high in protein and a great source of healthy fat. I like eating them as a snack or adding to salads for a crunch. You can even make your own almond butter! Cashews are delicious on their own, but if you soak them in water, they can be blended to make creamy sauces and dressings. Check out this caesar dressing recipe… it’ll change your life! This nut is great for skin and hair but is also high in protein and a healthy fat. They are delicious in salads and pesto! Chia seeds are loaded with health benefits and are also a source of plant-based protein. Add to smoothies or oatmeal for a morning energy boost. You can also make your own jam using chia seeds! Flax seeds are a standard substitute for eggs in vegan baking and cooking. You can also add a tablespoon to smoothies for an extra protein kick! This is an excellent superfood that is packed with nutrients. Hemp seeds are also a very easily digestible form of protein. Add to salads or smoothies for a health boost. We all know beans are a great source of fiber, but they also help lower cholesterol. Add to tacos, soups, or mix with rice for an easy vegetarian meal. Bonus! Try them on BROWNIES for a gluten-free dessert recipe! I like keeping cans of these on hand to add to soups and salads. 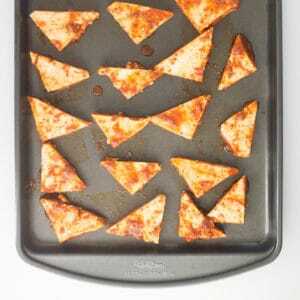 Again, make a great addition to a vegetarian meal. I eat chickpeas alot. I like to add them to salads, make a sandwich out of them, or even a delicious slow cooker recipe with chickpeas for dinner. Chickpeas can even be roasted to make a healthy homemade snack! Bonus! Save the liquid from cans of chickpeas to make aquafaba! It makes a great vegan meringue. Lentils are a great source of fiber and an excellent in soups, curries, or dals. This is a gluten-free flour that is best in combination with other flours. It can be very dense (not a 1:1 ratio in substituting with all-purpose flour)! I love keeping these handy to make desserts or to add to pancakes. Pop a small handful in your mouth to curb any sweet cravings too. Dark chocolate is an antioxidant boost right?! Another gluten-free flour. Can be used to make delicious pancakes! Great 1:1 substitute for all-purpose flour. Can make baked goods healthier! This is my standard substitute for white sugar in baking. Great for baking and a good substitute for brown sugar. Coconut sugar is also a common Paleo sugar. Honey is not vegan, but it is a healthy sweetener that can be used in baking or in salad dressings. My personal favorite sweetener! Great for adding sweetness to savory sauces, granola recipes, and on pancakes of course! Sounds kind of weird, I know, but this stuff is great at making dishes taste “cheesy”. Sprinkle over pasta dishes or use to make vegan mac and cheese! I detest clutter and I try not to buy every kitchen gadget out there. With that being said, here are some kitchen staples that are essential for me. 7. Waffle Maker – okay, not an essential, but I love breakfast foods and waffles! Where are my Parks and Rec fans? If you’re still with me, congrats, I know that was a hefty list. These are ingredients I like to keep in my kitchen to create limitless vegan and vegetarian recipes. Most recipes on my blog include some type of combination of these ingredients. What’re some of your vegan pantry essentials? Let me know in the comments below!